Serena Williams of the United States celebrates winning her women's singles quarterfinals match against Italy's Camila Giorgi on Tuesday. 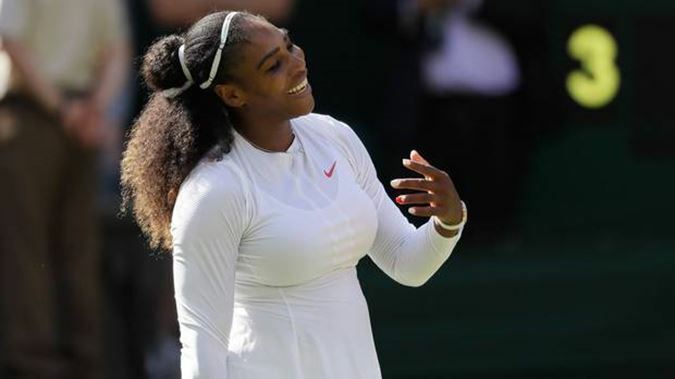 Serena Williams came up with a comeback to reach the semifinals at Wimbledon, then walked off Centre Court with her right index finger aloft. Yes, no matter what the rankings or seedings say, she still looks as if she's capable of playing like someone who's No. 1. Williams moved closer to her eighth title at the All England Club and 24th Grand Slam trophy overall - but first since missing more than a year while having a baby - by beating 52nd-ranked Camila Giorgi of Italy 3-6, 6-3, 6-4 in the quarterfinals Tuesday. "This is only my fourth tournament back, so I don't feel pressure. 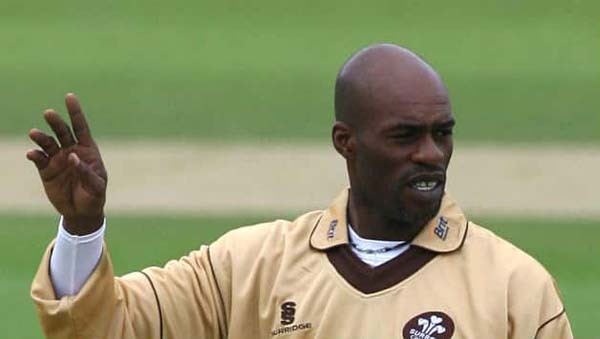 I don't feel I have to win this; I don't feel I have to lose this," Williams said. "I'm just here just to be here and to prove that I'm back. And I feel like I'm back. I still have a long way to go to be where I was." Williams was seeded 25th by the All England Club, a nod to all of her past success at the grass-court major, including titles the last two times she entered it, in 2015 and 2016. She missed Wimbledon a year ago because she was pregnant, and she went about 16 months between Grand Slam tournaments, so her ranking is just outside the top 180. That is going to change now. Next up for the 36-year-old American is a match against No. 13 seed Julia Goerges of Germany, a 3-6, 7-5, 6-1 winner against No. 20 Kiki Bertens of the Netherlands. This is all brand new for Goerges, who had never even been to a Grand Slam quarterfinal before this week. Plus, at Wimbledon in particular, she lost in the first round each of the past five years. Williams is 3-0 against Goerges, winning in straight sets each time. "Every match starts from zero," Goerges said. "Everybody has the same chances to win that match, and I'm looking forward to it." After their most recent meeting, in the French Open's third round last month, Williams pulled out of that tournament, citing a chest muscle injury that made it too painful to serve. After going a couple of weeks without hitting a serve, Williams has regained her ability with that stroke nicely at Wimbledon. She hit one at 122 mph against Giorgi, delivered six of her seven aces in the final set, and won 44 of the last 54 points she served. It was the first time she'd needed to erase a real deficit this fortnight: Williams hadn't dropped a set until facing Giorgi, who was in her first Grand Slam quarterfinal. 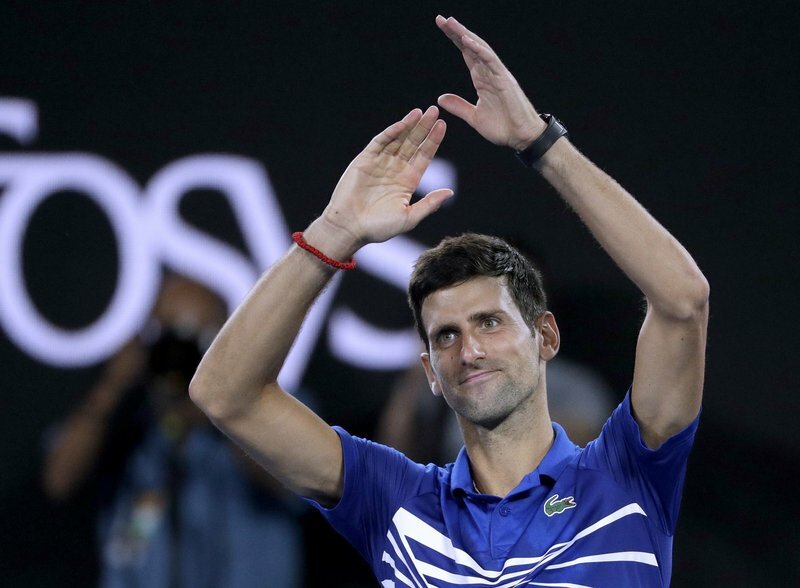 "After the first set, I was like, 'All right, let's go three sets.' And that's kind of what I thought. ... 'I'll just keep fighting,'" Williams said. The winners of the Table Tennis Competition of the Bangabandhu Inter-University Sports Champs 2019 with Chief Guest Nasrul Hamid, MP, State Minister for Power, Energy & Mineral Resources, Nahim Razzaq, MP, Convener of the Bangabandhu Inter-University Sports Champs, Dr Kazi Anis Ahmed, Joint-Secretary of Association of Private Universities of Bangladesh (APUB), Hedayetullah Al Mamun, President of Bangladesh Table Tennis Federation, Md Shafiul Azam, Managing Director & CEO of Modhumoti Bank Limited, Professor Dr Atiqul Islam, Vice-Chancellor of North South University, Md Alamgir Hossain Khan, General Manager & Head of Finance of Polar Ice Cream and other distinguished guests pose for a photo session at North South University in the city on Tuesday. 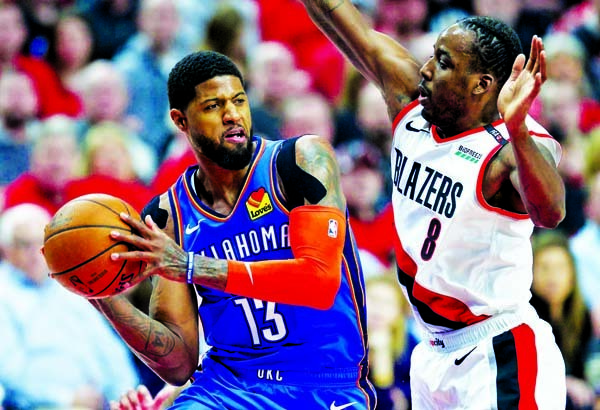 Oklahoma City Thunder forward Paul George (left) looks to pass the ball around Portland Trail Blazers forward Al-Farouq Aminu during the first half of Game 2 of an NBA basketball first-round playoff series in Portland, Ore on Tuesday. 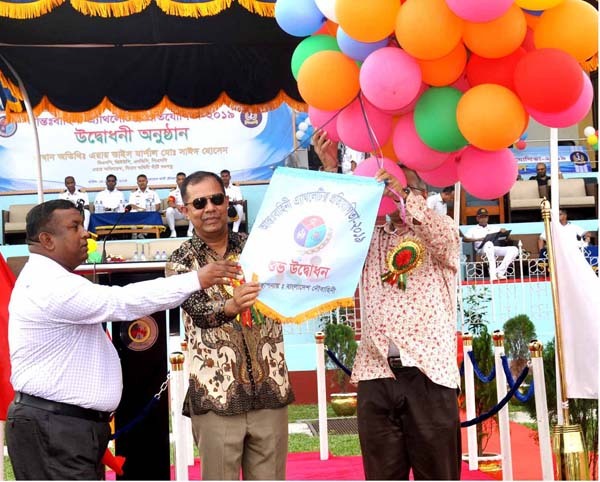 Air Officer Commanding of Bangladesh Air Force Base Bangabandhu Air Vice Marshal Md Sayed Hossain inaugurating the Inter-Services Athletics Competition by releasing the balloons as the chief guest at the Army Stadium in the city's Banani on Monday. The football boots with which Paul Pogba effectively won the World Cup for France last year are to go under the hammer in Paris later this month, Christie's said Monday. 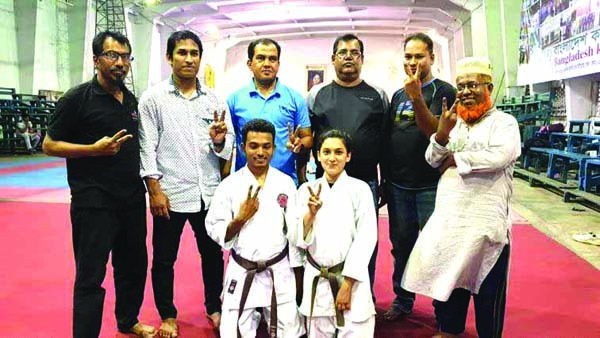 Maisha Rahman Promi (front right) and Md Monir Hossain Tanvir (front left), who clinched First Dan in Black Belt pose with Head Coaches of Bangladesh Karate De Union Md Alamgir Hossain, Syed Md Zakir Hossain, Vice-President of Karate De Union Mizanur Rahman, Senior Coaches Dr Z Tareque, Golam Zakaria at the Gymnasium of National Sports Council recently.